The World or The World Islands is an artificial archipelago of various small islands constructed in the rough shape of a world map. 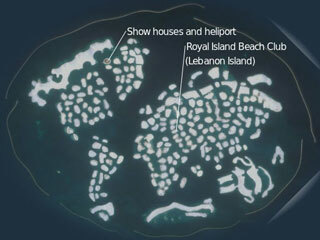 The World islands are composed mainly of sand dredged from Dubai's shallow coastal waters, and are one of several artificial island developments in Dubai. This article uses material from the Wikipedia article "World Islands", which is released under the Creative Commons Attribution-Share-Alike 3.0 License.